The banking and insurance system is of great importance for the economic growth of less-developed and developing countries. Well-developed banking and insurance sectors can prove a boon for an economy. The last decade has seen many positive developments in the Indian banking sector. The policy-makers, which comprise the Reserve Bank of India (RBI), Ministry of Finance and related government and financial sector regulatory entities, have made several noteworthy efforts to improve regulation in the sector. The sector now compares favourably with banking sectors in the region on metrics like growth, profitability and non-performing assets (NPAs). Similar to the banking sector, the Indian insurance market, despite having a highly elaborate history spanning almost two centuries, has come of age only in the last 50 years after the formation of the Life Insurance Corporation (LIC) of India in 1956 and the entry of private companies (i.e. liberalization) into the market in 2000. 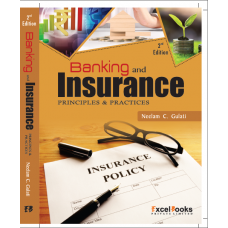 This book is an attempt to provide a comprehensive introduction to the theoretical and applied issues relating to the Indian banking and insurance industry. It brings out the current issues in the two vital sectors of economy, viz., banking and insurance - the products, the issues of concern and the factors that are important to their success. The text grossly covers: Introduction to Banking; Central Banking and Bank Regulation; Issues in Bank Management, Banking Products, Risk, Insurance, Risk Management Techniques, Insurance Legislations, Liberalization, and the Developments in insurance sector after year 2000. This book would be suitable for all the undergraduate students taking courses in banking and insurance. 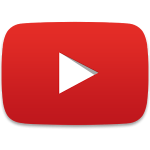 Its content has been supported with a good number of keywords and annexure.